This tag is perfect for any occasion! Feel free to change up the patterns! Cut a 4-1/4" x 3-1/4 " banner shape for the background. Cut a 4" x 3" banner shape and layer it in the center of the background banner. 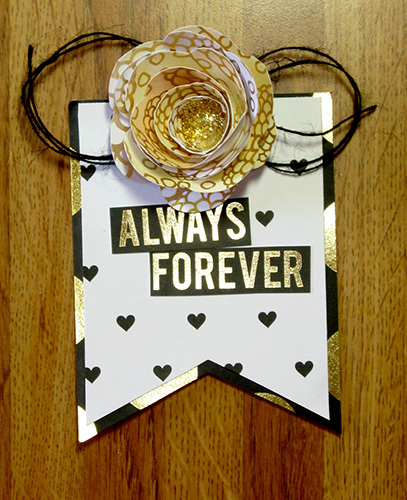 Cut the “Always” and “Forever” phrase from the stack. Adhere the “Always” and “Forever” phrase on the front of the banner. Trace and cut the rosette pattern. Add watercolor if desired. Roll the rosette from the outer edge, inward. Secure it to an extra cardstock piece with hot glue. 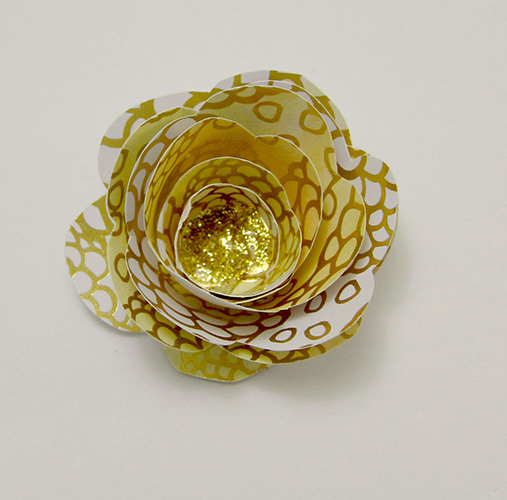 Add glitter to the center of the flower by pressing a glue dot (or a dab of liquid glue) in the middle of the flower and covering it with glitter. Fold twine into a bow and adhere behind the rosette, then attach this to the tag. 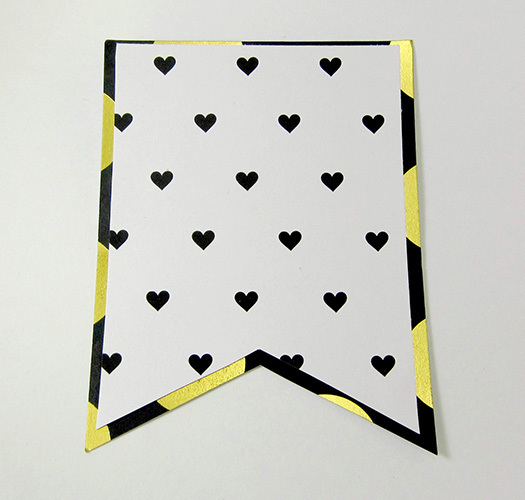 Attach tag to a present or gift bag using double-sided adhesive.